We will hold the Fourth RIKEN/Karolinska Institutet/SciLifeLab Joint Symposium in Kobe on November 16-17. The title of the symposium is “Life Science Frontiers in Health, Disease and Aging”. In addition to oral presentations already scheduled, there is the opportunity to present posters, and applications are open to those who wish to share their research related to the theme of this symposium. 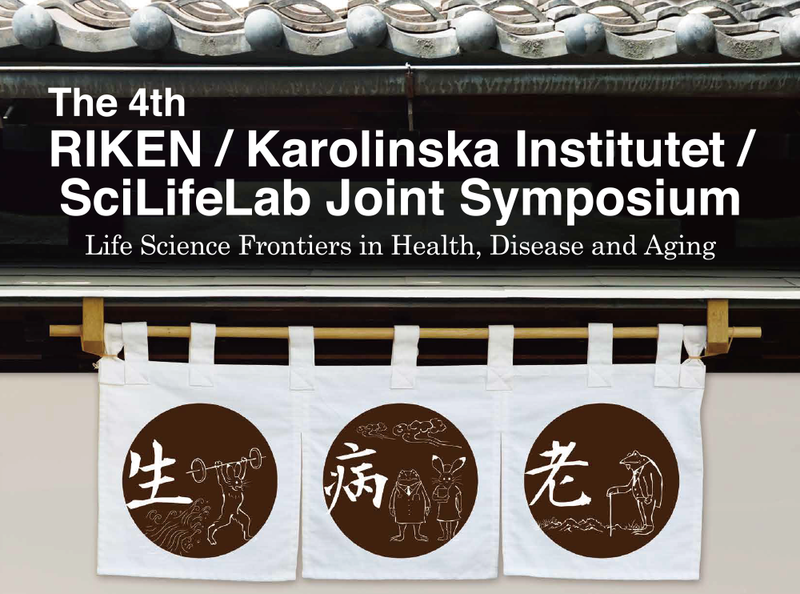 RIKEN Center for Life Science Technologies (CLST), Karolinska Institutet(KI) and SciLifeLab started the annual joint symposium in 2014. SciLifeLab, consisting of KI, the Royal Institute of Technology (KTH), Stockholm University and Uppsala University, is a national center for molecular biosciences in Sweden with a major focus on health and environmental research. KI and RIKEN CLST host the symposium alternately in Stockholm and Japan, respectively. From this year, the symposium is organized as the “RIKEN/Karolinska Institutet/SciLifeLab Joint Symposium”, i.e., expanding its constituency from RIKEN CLST to all RIKEN. The collaborative relationship between KI and RIKEN has delivered steady and successful results since January 2001 when KI and RIKEN Genome Science Center (current Division of Genomic Technologies, CLST) entered into a comprehensive collaboration agreement in the field of genomic science. Particularly strong outcomes have been achieved in the FANTOM (Functional Annotation Of Mammalian Genome) 5 Project, which is a RIKEN-led international research consortium involving over 100 institutions worldwide. It should be emphasized that scientists from KI have played a critical role in this project and achieved excellent publications. The FANTOM6 Project is now underway, focusing on “long noncoding RNAs”. Following the successful collaborative relationship, KI and RIKEN signed an International Program Associate agreement in 2009. From 2010, KI and RIKEN started a joint effort to foster human resources by offering a joint doctoral course that graduate students from both institutions can attend, and this is held every other year either in Sweden or in Japan. Also in the field of molecular imaging, KI and RIKEN have been working together on elucidating disease mechanisms, especially those of neuropsychiatric disorders, by using positron emission tomography (PET). Particularly, a unique PET study on monozygotic twins has been going on since 2011. The close collaborative relationship also extends to the development of new molecular probes and to PET-CT and PET-MRI studies with experimental animals. We would like to continuously seek and promote collaborative relationships in new scientific endeavors between RIKEN, KI and SciLifeLab. The main theme of the symposium this year encompasses both basic science and clinical research, and we hope it is beneficial to incorporate emerging fields like age-related dysfunction. Your active participation is greatly appreciated.